As I write this, I’m sitting in an air-conditioned, well-lit, spacious Starbucks in Loma Linda, California, with virtually an unlimited supply of hot (and/or cold, pick your poison) coffee, clean water and mouth-watering pastries. I have access to an abundant amount of resources. I have access to a clean restroom and a working toilet. I have the ability to utilize a sink, where I can wash my hands with clean water and soap. I don’t have to think about it; it’s just there. As I type away, drinking my triple shot espresso macchiato, I reflect upon my Integrated Course Development (ICD) experience in Peru this past summer. I am, quite frankly, left with a deep sense of privilege and gratitude. Immediately my gratitude is sprinkled with a haunting feeling of guilt. I want to do more. Rewind a couple of months. It’s the end of June 2014. School just finished for the year. You’re ready for days of sun-bathing, beaches and refreshing cold iced drinks. You’re prepared to take a break from the daily stresses of school. But, if you’re a first year Global Health MPH student, chances are you’re preparing for a very different summer from the rest of your colleagues in the School of Public Health. You’re organizing plans for your Integrated Course Development, popularly called “ICD” by those in the program. It’s a feat, challenge, and opportunity we’re presented with from the very start of our academic public health career, and it’s something we start discussing and thinking about, quite literally, from the first day of classes. Global Health students, as a requirement of the program, choose to travel to Peru or the Philippines for three weeks during the month of July. 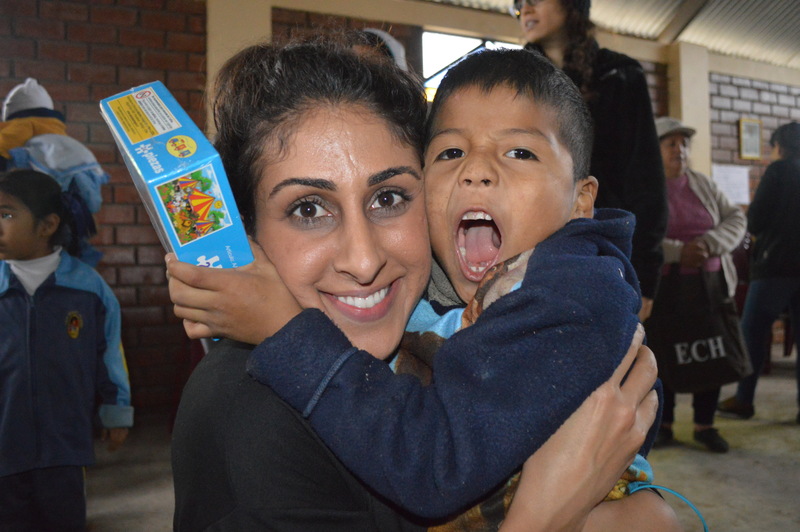 This trip gives students a taste of what a career as a global public health professional would be like, in addition to gaining hands-on field experience while implementing a public health project. 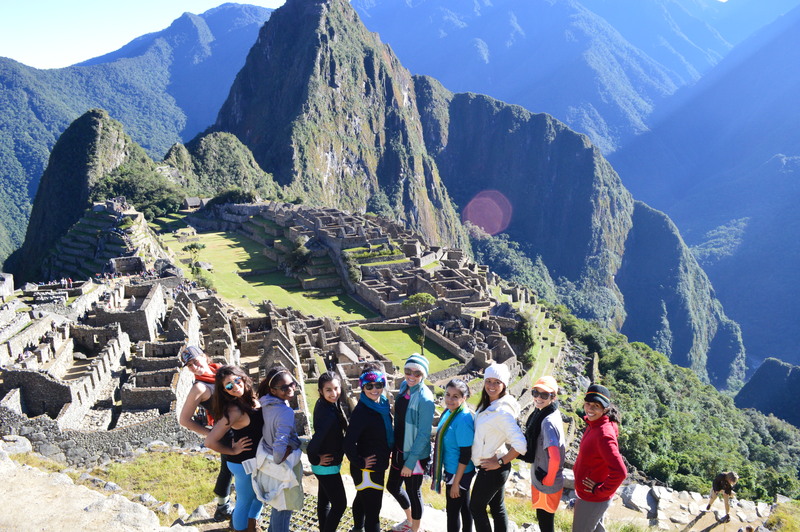 From the beginning of the program, I knew I wanted to travel to Peru; I wanted to practice my Spanish, witness the beauty of Machu Picchu and delve into Peruvian culture as much as possible. We were divided into two different groups; my group, which included my colleagues Crissy Irani, Edwina Rao, Lea Urita, Noemi Avalos, as well as Ms. Arti Desai and Dr. Juan Carlos Belliard, spent a week in the community of Tuni Grande, where we implemented a hand sanitation and hygiene health education project, in conjunction with teaching community members the benefits of building a tippy tap in their homes (go to www.tippytap.org for more information—it’s an incredibly simple and efficient concept that’s gained a lot of momentum). The other group, composed of Jessica Camacho, Alexandra (Nicole) Oliver, Rebecca Marsile, Sammy Roth, as well as Dr. Ryan Sinclair, taught participatory rural appraisal tools (PRA) to science club students and reinforced quality tools such as aerial mapping, biodiversity and water sampling to identify potential health hazards in Laguna Chacas. 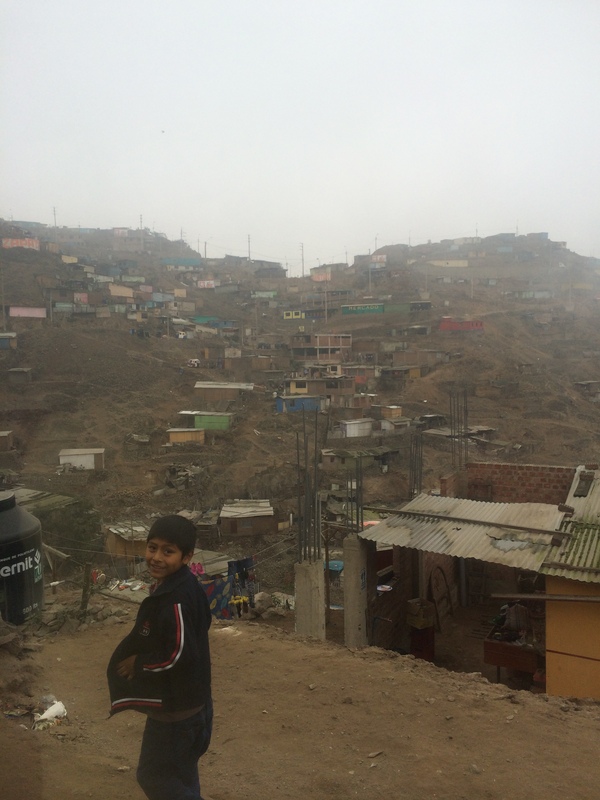 The real premise of my writing is to share some of the things I learned in the short three weeks I spent in Peru. The life lessons, stories, and pictures left from my ICD experience will stay with me for the rest of my life. I can confidently say I learned far more during my three weeks of fieldwork than I expected. I experienced a new country. I learned about working as a public health professional. I learned a lot about myself, which in essence, is one of the main repercussions of travel. My real life teachers during this ICD experience were the people I interacted with; my classmates, professors, and the incredibly beautiful people of Peru. I learned about people. I learned more about the human spirit, about the deep intense fragility of the human condition, about how truly connected we all are. I am indebted to the people who crossed my path during this trip. 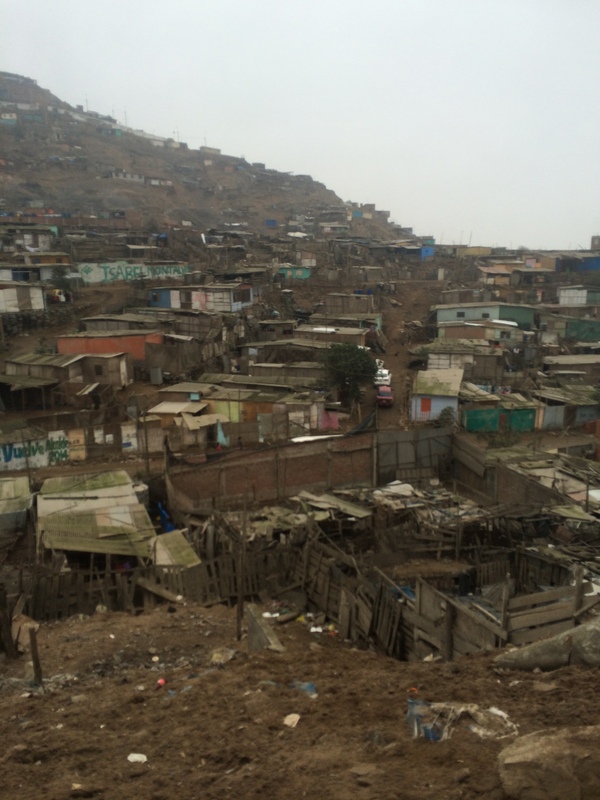 While visiting San Juan Miraflores, a shanty-town, so to speak, located in Lima (pictured below), I was reminded of just how important human connection is. When words are not sufficient, we must remember how the power of a hug, especially from a stranger, can leave us feeling so much love and warmth. I immediately connected with a little boy who was chasing our bus down. I made eye contact with him, waved, and he continued to wave until our bus stopped in the community. He was rambunctious, energetic and had so much mischief in his eyes! He was ready to talk to everyone and had a sense of fearlessness I admire so much in children. Right before we left he, out of nowhere, gave me a hug good-bye. He was ecstatic. He had just received a gift; a puzzle. He was so over the moon, he ran over to me, squeezed me long and hard, and was on his merry way, excited to show off the new toy to his friends. My eyes began tearing up. I had not done anything. I wasn’t even the one who gave him the puzzle. I was a part of his ripple effect—I was lucky enough to be hit by the wave of his joy and happiness. I won’t ever know why he chose to hug me. But I was left misty-eyed and grateful. This quick encounter confirmed to me the importance of human touch—the gifts that cost absolutely nothing tend to impact us the most. 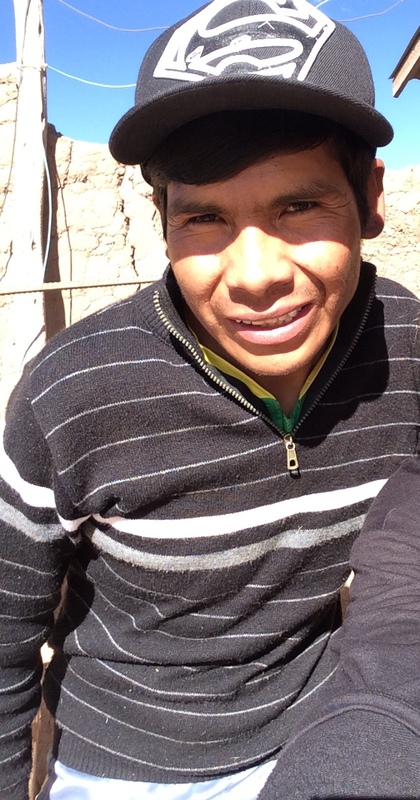 Living and working in the community of Tuni-Grande was an opportunity and a blessing. I will always remember my Peruvian brother as one of the most insightful and thoughtful people I’ve ever had the privilege of meeting. He taught me the importance and beauty of non-verbal communication. He listened attentively, thought before he spoke, and was genuinely interested in learning about cultures different from his own. He was so curious about life in the United States. He persistently asked questions about my life as an American, but made it a point to expose me to the great things from his own community. 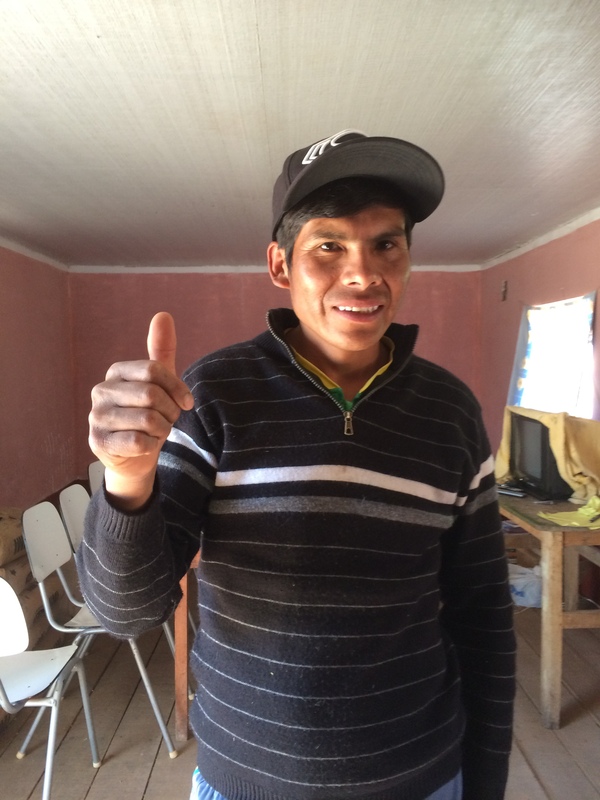 At the end of my stay in Tuni-Grande, as I was packing my things to leave, I gave my brother my Superman hat, the one I had worn everyday during the week. I wanted him to have it because to me, he was the real hero. All throughout the week, he took the effort to make me feel comfortable, and was intuitive enough to do things like bring me hot water every night so I could wash the dust from my face. Every night after dinner he brought me tea so I could maintain a sense of warmth once the lights turned out for bed. He taught me how to milk a cow (I was terrible, it’s much more difficult than it looks and requires a lot of strength!). He showed me how to take care of the sheep and cows every morning. He knew the Earth and treated the animals in a way that was admirable and inspiring. He motivates me to have a closer connection with nature and taught me to slow down and enjoy the surrounding beauty. I will never forget his reaction after I gave him the hat. His eyes immediately filled with tears and with a shaky “thank you”, he hugged me, placed it on his head, and grinned. He reminded me that acts of kindness, no matter how small, are just that—acts of kindness. It doesn’t take much to make someone feel good—so why not go ahead and make the move? My interaction with him will forever leave a deep impression on me. I won’t ever forget him. Travel. It pushes you to be humble. It reminds you that you’re only a small piece to the puzzle. It makes you grateful for what you have—something we always need a reminder of. It inspires you to play a larger role in your community because you quickly see how little it takes to make a difference. So. Strive to turn your surrounding environment into a classroom. Utilize your interactions with others as a platform for learning. The people you meet are versions of your own teachers and their stories inevitably become a part of your own. Thanks for the post Ladi, i enjoyed remembering those precious moments we lived and worked together. It was indeed a great experience and I am so glad you got to learned so much! Great write-up, Ladi! You captured it well and hope it inspires other students to experience the same. Hey Ladi…you are such a stud! Students like yourself are so rare and I feel privileged to have had the opportunity to interact with you while you were attending Saddleback College. I am so glad that you have found a program, profession, and career that match your interests and values. The world is yours…what footprint do you want to make? 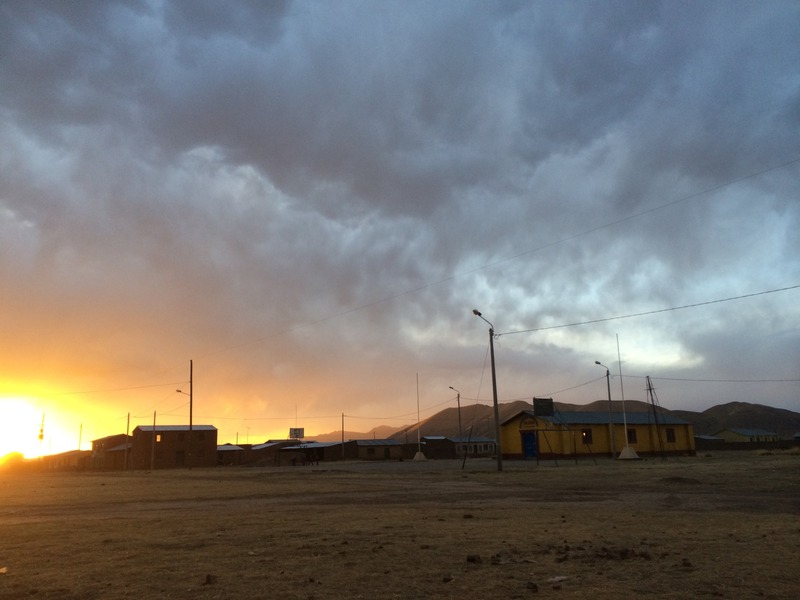 Thank you for sharing this wonderfully written reflection on your Peru experience. It is clear from your reflection that you get the essence of global health work, and it makes me hopeful for the future. Love the quotes. Keep writing and sharing.